The political history of Chad is characterized by a series of violent crises. 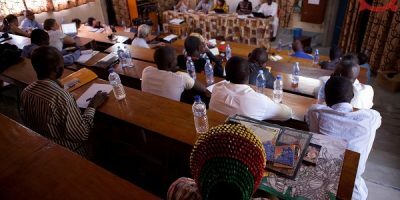 From slave raiding to colonization to multiple civil wars, the population of Chad, and in particularly the people from the Guéra and the Moyen Chari region, were deeply affected. Both regions have a specific position in colonial and post-colonial politics’ respectively with regards to the creation of infrastructures of communication and with regards to rebellions formed against the State. The creation of roads, in the colonial period, for strategic and economic purposes, provoked extraordinary violence towards the local population, for instance with regards to the recruitment of manual labour. The effects of forced labour for the construction of the road infrastructure are still vividly remembered. After independence, to repress the peasant revolts and armed rebellions, the battle for access to communication was integrated in military strategies and continued to play a role in the persisting violence experienced by the people. Recently new Information and Communication Technologies (ICTs) were introduced in the region. They played an important role in the organization of the latest rebellions, but also in oppression of the population. New ICTs therefore introduce new layers of violence in these regions. In this dissertation all these layers of violence are analysed in relation to each other and it is questioned how these help interpret today’s social fabric in the Guéra and Moyen-Chari. 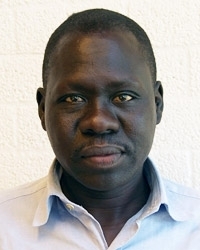 Souleymane Abdoulaye Adoum is a PhD candidate at Leiden University at the Institute of History. Originally from Chad, he joined the research programme ‘Connecting in Times of Duress’ in 2013. His subproject is entitled ‘Communication et violences au Tchad, le cas du Moyen-Chari et du Guéra de 1900 à 2010’. Prior to his study in Leiden, he finished two Master programmes in Yaoundé, Cameroon on the subjects of History of International Relations and Regional Integration and the Management of International Institutions. Promotors: Mirjam de Bruijn & Khalil Alio. When & Where: 4 July 2017, 11:15-12:15, Rapenburg 73, Leiden. More information. 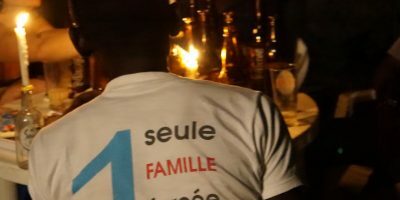 On the occasion of Souleymane’s PhD defense a workshop is organised on 3 July, entitled: Les histoires alternatives de l’Afrique central ( Alternative histories from Central Africa ). Click here for more information and registration.